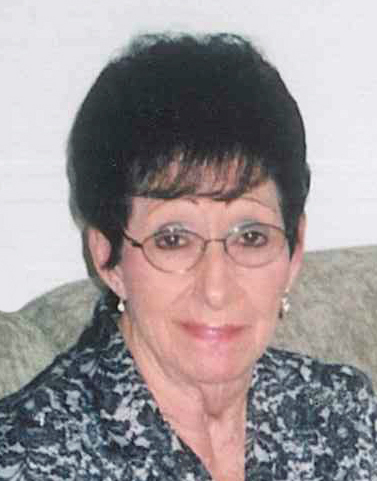 Deloris L. Littell, age 85 of Keyesport, passed away at Carlyle Healthcare Center on Sunday, January 27, 2019. Mrs. Littell was born on September 25, 1933, in Keyesport, a daughter of Glen and Edna (nee Eveland) Willmirth. She married Arthur Lee Littell on December 24, 1953, and he preceded her in death on August 22, 1961. Mrs. Littell is survived by her children – Rita Griffin and husband Jim of Carlyle, Kevin Norris and wife Linda of Carlyle, and Gregory Littell and wife Iva Kay of Rogers, Arkansas; her grandchildren – Natalie Stevenson and husband Marc, Iva Jackson and husband Waymon, Danielle Littell, Travis Littell, Jacob Norris and fiancé Jessica Maue, Charles Chester and fiancé Megan Stratton, and Ashley King and husband Brian; and her great grandchildren – Katelyn Littell, Isabelle Stevenson, Ryder Norris, Colby Schumacher, Alexys Schumacher, Dylan Schumacher, Haylei King, Gage Chester, Samuel Chester, Gracie Chester, Emma Stratton, and Melody Karns. In addition to her husband Arthur, she was preceded in death by her parents, and a sister and two brothers in infancy. Deloris worked as a nursing aide at Utlaut Memorial Hospital, Fair Oaks Nursing Home, and Hillview Nursing Home. She also provided private home healthcare for many years and worked at Basler Electric. Mrs. Littell was a member of the Keyesport Pentecostal Church, and she loved taking care of others, dancing, and country music. Deloris loved talking on the phone with her close friends, Edith, Dorothy, and Jane. A funeral service will be held at 10:30 A.M. on Thursday, January 31, 2019, at Zieren Funeral Home in Carlyle with Kevin Norris officiating. Interment will follow at McKendree Chapel Cemetery in Keyesport. Visitation will be held at Zieren Funeral home on Wednesday, January 30, 2019, from 4:00-8:00 P.M. and on Thursday morning from 8:00 A.M. until service time. Memorial contribution in her memory are suggested to St. Jude Children’s Research Hospital and will be received at Zieren Funeral Home.